Zing is bio-mimicked and inspired by flying Kingfisher bird, and very close to its silent, energetic nature. 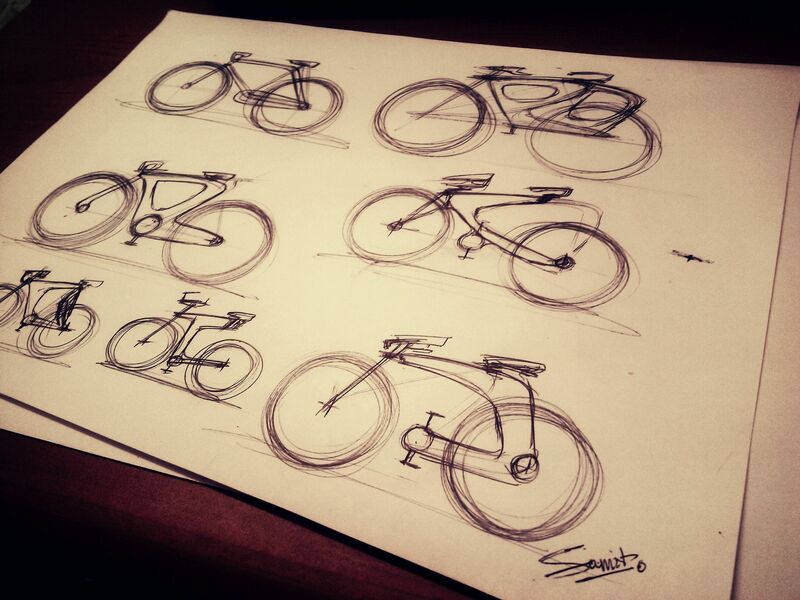 It is light weight, attractive urban bike with advanced electric assist- simple, clean, and city proof. It starts with the basic necessities like the bottle holder, adjustable seats and handles making it comfortable and ergonomic for this customer. It has a GPS navigator with digital display making sure that the customer is always smart like he/she already is. 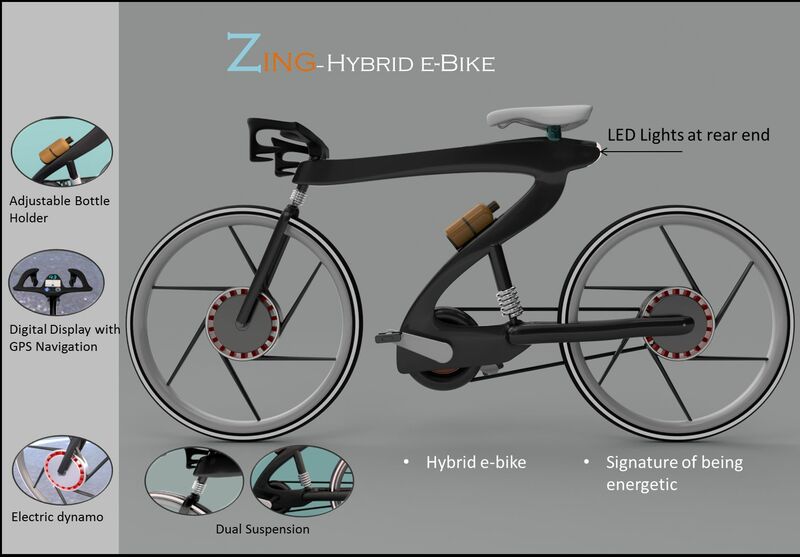 Zing is a hybrid e-bike with digital design, GPS, dual suspension, automatic transmission and electric pedals. 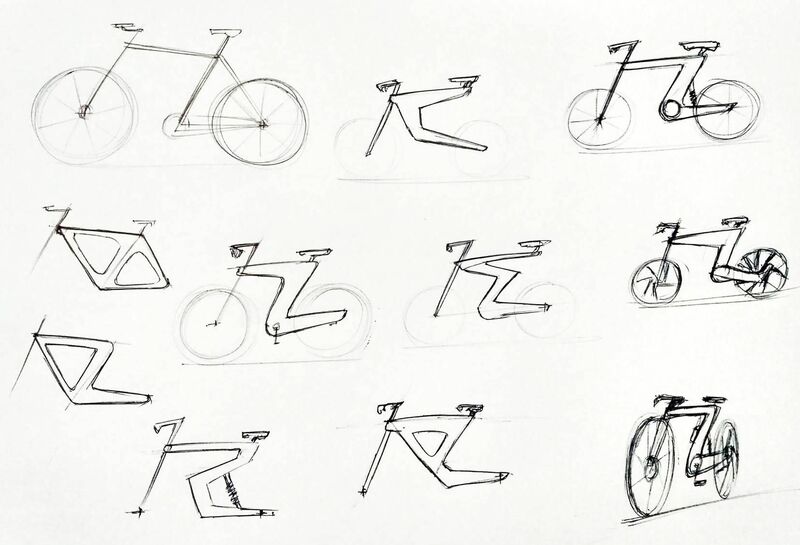 It’s engineered keeping in mind the typical city user, who needs speed and a rough usage, and it’s designed with aesthetics which end up with the user looking smart efficient and ahead of the curve. The automatic transmission and the electric pedals will help reduce the need for the rider’s effort. 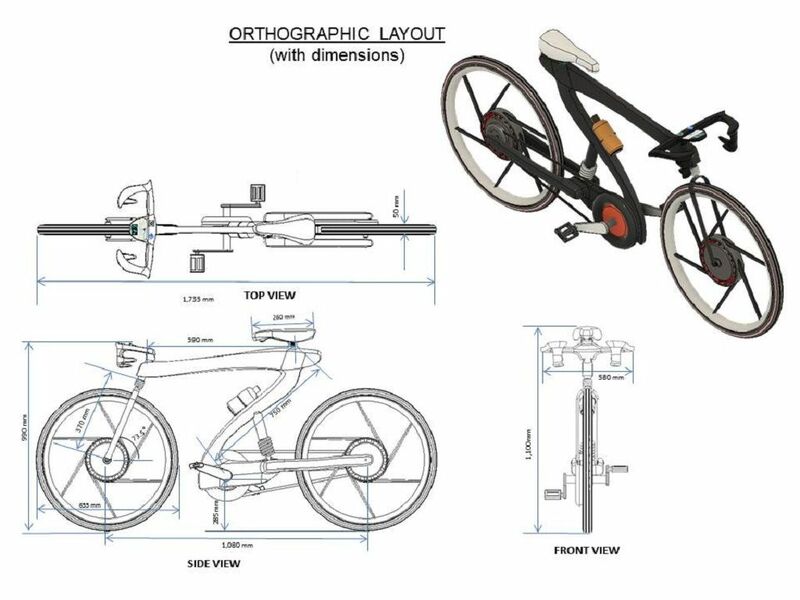 User will be having both choices either to ride by paddling or simply use it as an e-bike, which gives you a new riding experience depending upon their mood. It is designed corrosion proof, so it can be used in any kind of weather. Also, to reduce the risk and safer cycling in night, a thin layer of reflectors are attached in both front and rear wheels, which glows in dark. This product is especially for us, the city users, expeditious students, loving husbands, fun bachelors, and for those people who love taking long walks but are impatient enough to cycle their way to their destiny. You now are more silent, efficient and swift than before. 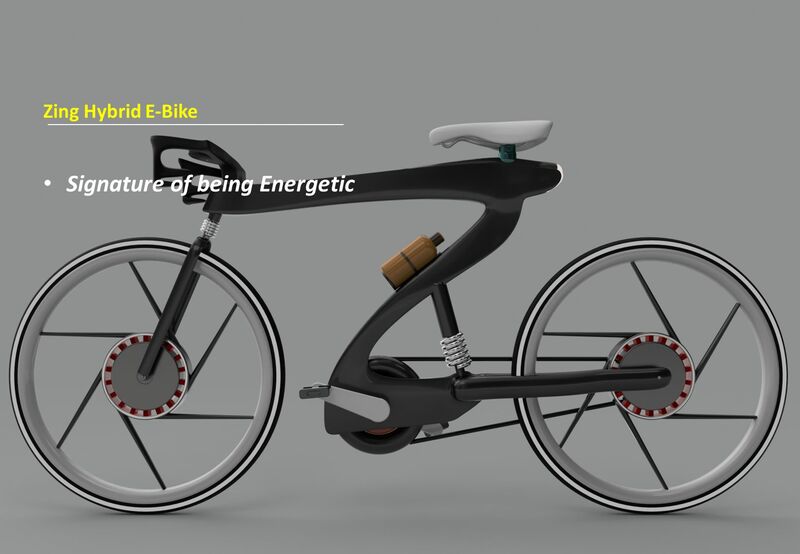 It’s a hybrid e-bike designed by considering the market large in number. It is a combination of so many features to fulfill the market value so can be used for multiple purposes and by large number of people. 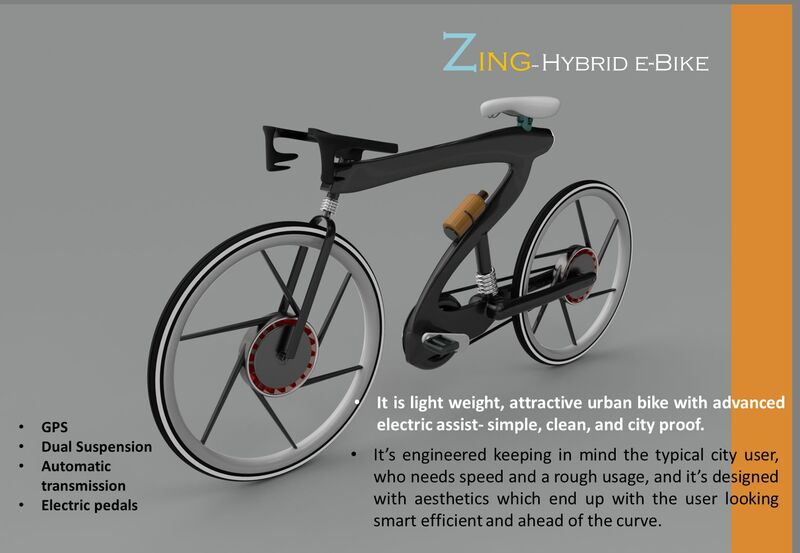 Zing is ideal for using in Cities, for having unique riding experience, for exercise purpose, can also be used for racing. Zing is a unique design because of its attractive and energetic look, with its key feature like Light weight, corrosion proof, Suspensions (in rear and front), GPS navigator, Bottle holder, Digital Display, night glower (a thin layer in its wheels) for visibility in night (for safety ride and to avoid accidents), adjustable height of seats and handle. What kind of braking system does it have?